Still tasting through my mixed case of 2000-2005 Bourgogne Rouge (though the Labouré-Roi Pinot Noir from yesterday wasn’t technically a Burgundy). 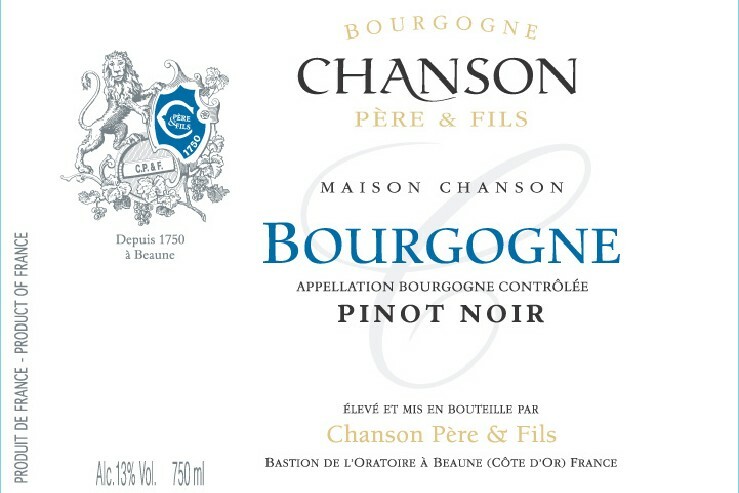 Next in line is Maison Chanson Bourgogne Pinot Noir from the much lauded 2005 (before the more lauded 2009) vintage. This wine is a blend fashioned from select vineyards of pinot noir from the slopes of Cote de Beaune and Cote de Nuits in Burgundy. I’m listening to Joan Baez’ rendition of Bob Dylan’s “Don’t Think Twice” from her Baez sings Dylan record. Like so many of Dylan’s songs, “Don’t Think Twice” has been covered and recorded by many others, but Baez’ is the most overwhelmingly heartbreaking I’ve yet heard. On its own, “Don’t Think Twice” is one of the great breakup songs of all time, from the male perspective. On top of this, Joan Baez is one of the truly tragic (living) characters of the ‘60s counterculture movement. Looking back it seems that she really believed that she and Bob would become the king and queen of the People’s Revolution Prom. The dichotomy between that moment and Dylan’s personal and artisic momentum can be seen quite apparently in parts of Don’t Look Back, D.A. Pennebaker’s famous document of Dylan’s 1965 tour of Europe. Chanson Pere & Fils Bourgogne 2005, in the glass, the wine is bright ruby w/ a slight purple hue toward the center. It’s light/medium bodied with prevalent raspberry and tart cherry. As the wine breathes and expands it shows some black licorice and white pepper. Chanson Pere & Fils Bourgogne 2005 is another nice, light(ish), food friendly pinot noir from a lower cost Burgundy producer, representing good drinking per dollar spent.